Pamela Nothando Bhulu, affectionately known as Nomina, was born in Plumtree, Matabeleland region. 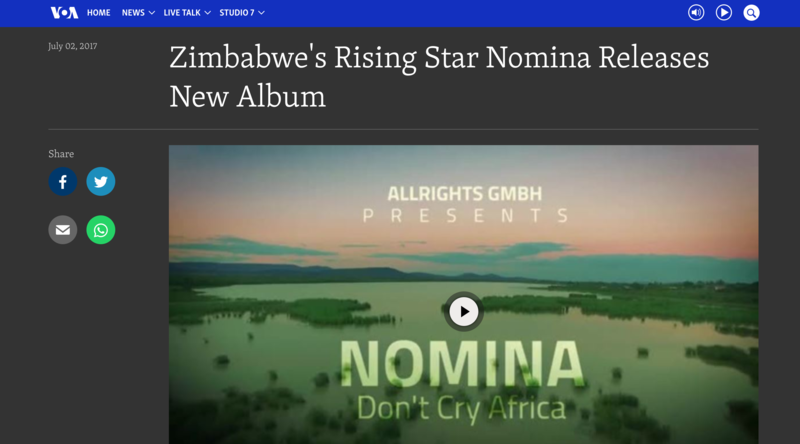 Nomina’s musical spectrum is a mix of R&B, pop, combined with African sounds, jazz, Spanish & Electro elements. Here is her later piece, “Don’t Cry Africa”.